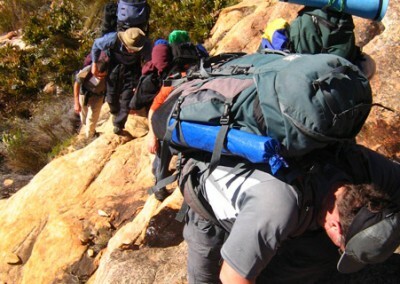 Requiring more-than-average fitness and strength, challenging hikes do not involve climbing but they may involve scrambling. 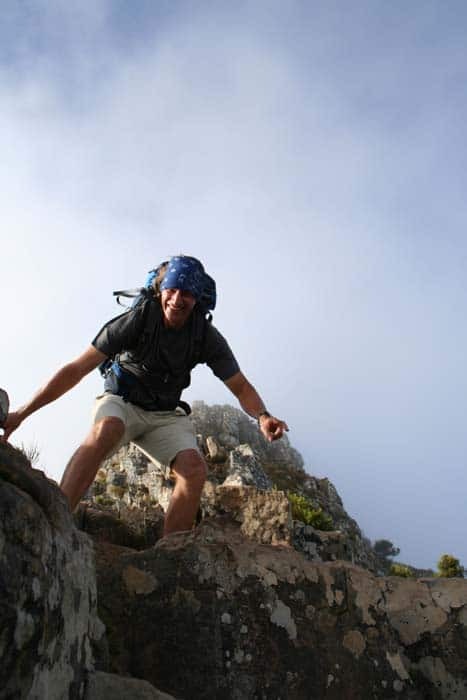 This is when you use your upper body strength to pull yourself over boulders and up short sections of rock face. 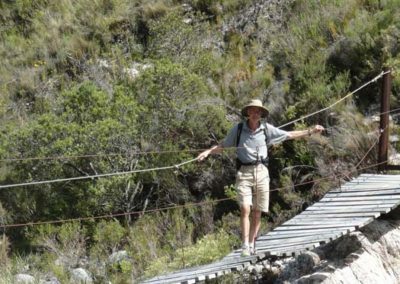 No rope is needed as there are well established hand- and footholds, and the most difficult sections on the trails have steel ladders, chains and handles bolted into the rock. 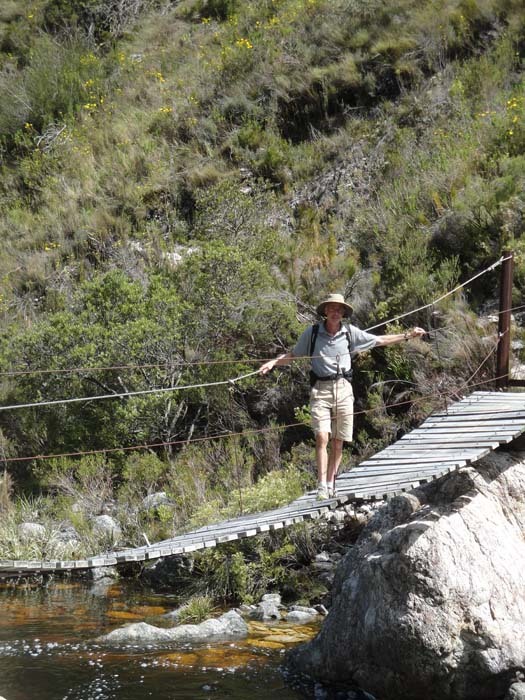 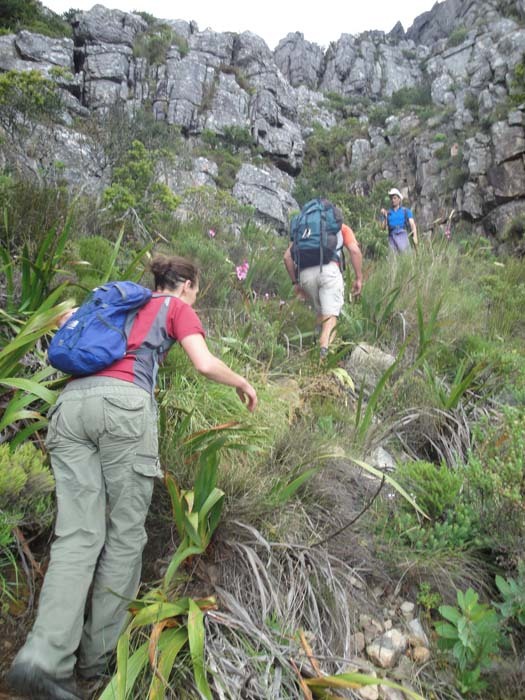 Other hikes have been designed to test endurance: all-day, mostly flat hiking that take in great sweeps of the landscape – coast to coast at the Cape of Good Hope Nature Reserve or in the big mountain reserves of the Winelands and Whale Coast. 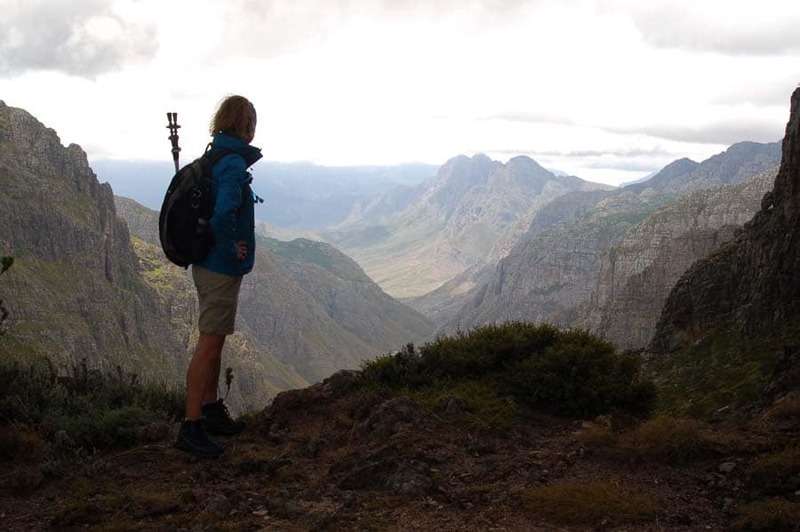 The rewards are some of the most spectacular views in the country plus incredible, unspoilt fynbos and the chances to see – evidence at least – of the environment’s wilder side: leopard tracks, eagles, antelope and clear-running rivers. 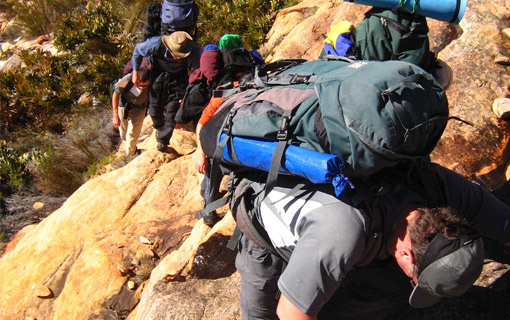 Half-day and full-day challenging hikes are available. 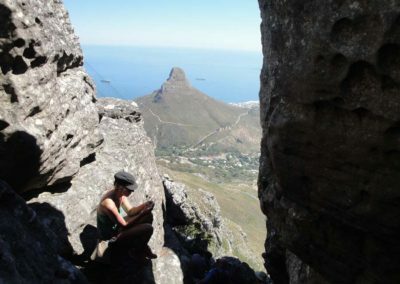 India Venster is the classic scrambling half-day hike up the front face of Table Mountain. 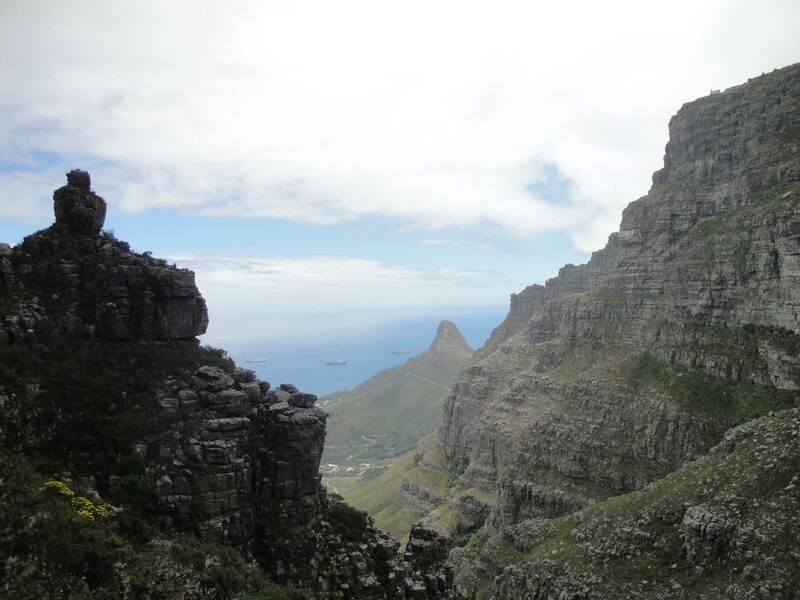 Offering stunning views and a great workout, its big advantage is that it summits near the cable car, making for an easy descent. 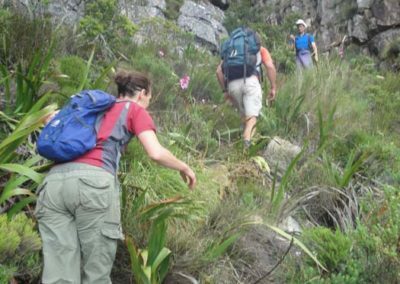 Other challenging half-day hikes on Table Mountain include the Diagonal Traverse on the rugged 12 Apostles range of Table Mountain as well as Constantia Corner on the Back Table; both offer panoramic views and pristine fynbos. 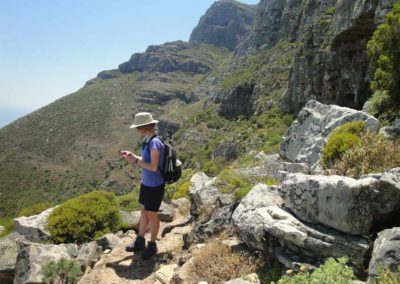 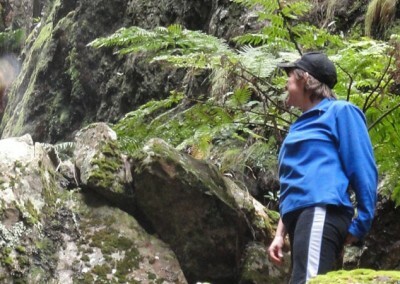 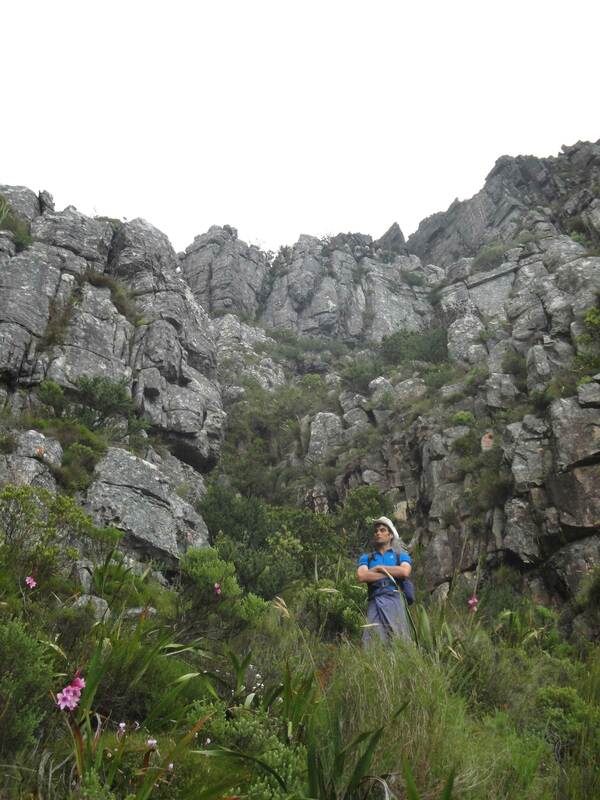 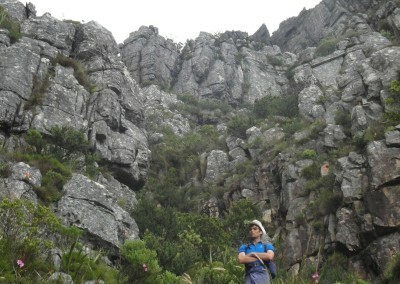 Challenging full-day hikes on Table Mountain can be made up of these half-day hikes which expand into more time on the mountain, or a different route altogether such as Myburgh’s Waterfall Ravine, offering hikers no fewer than three biomes as well as the best views on the Cape Peninsula. 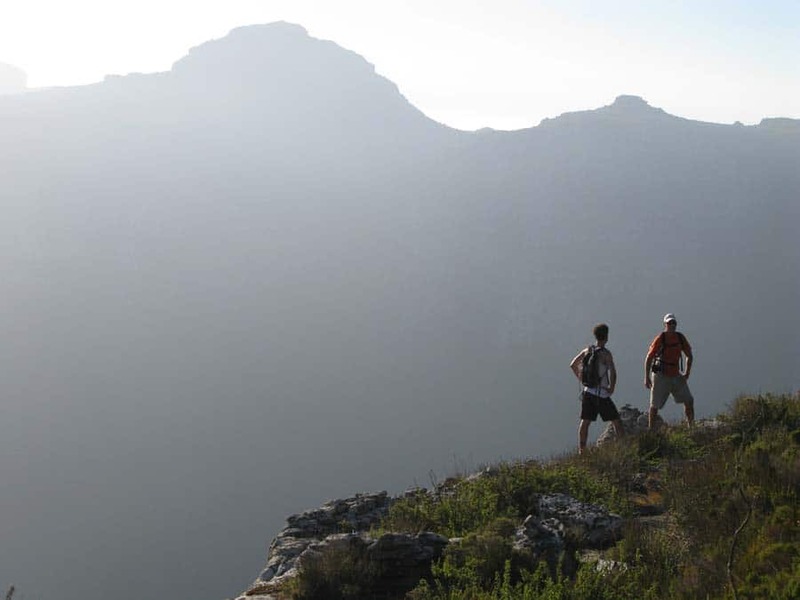 The Cape of Good Hope Nature Reserve offers a couple of epic hikes: top to bottom or coast to coast. 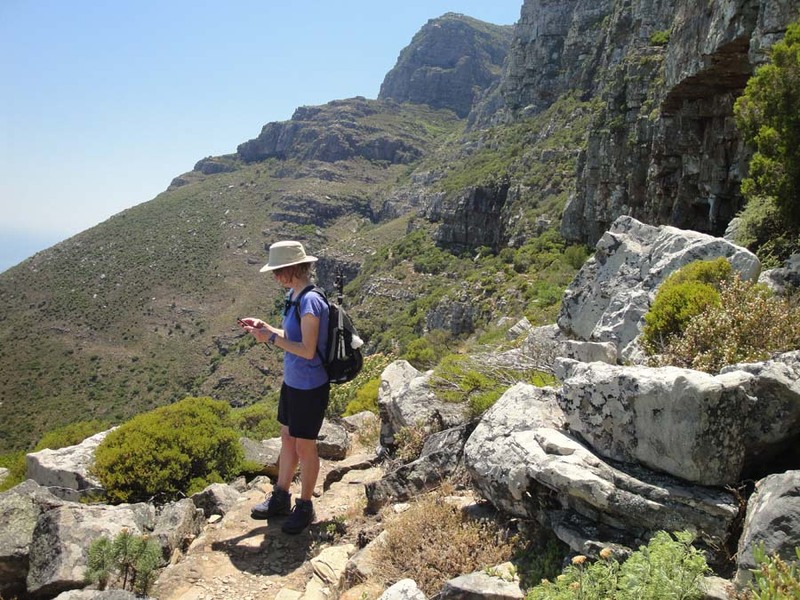 Starting at the entrance gate to the reserve, hikers walk halfway down the reserve’s Indian Ocean mountainous coastline before either carrying on south to Cape Point itself or turning west to connect with the reserve’s Atlantic coast. 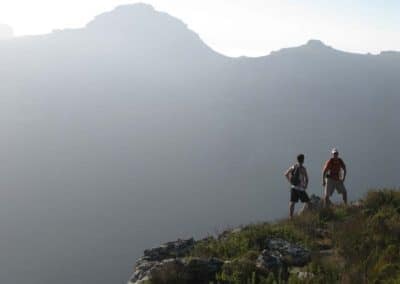 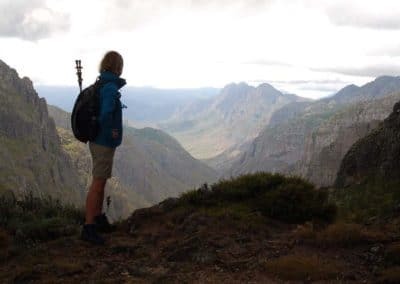 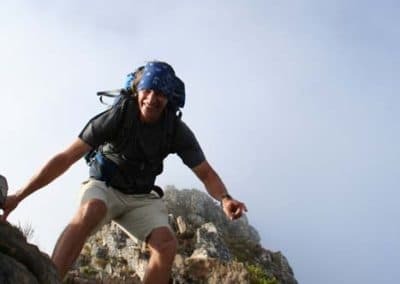 The Cape Winelands offers challenging hiking too: the Jonkershoek Valley near Stellenbosch is home to huge all-day hikes in spectacular mountains as is the Kogelberg Biosphere on the Whale Coast. 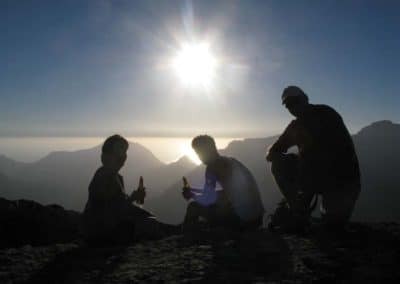 These destinations are perfect for hikers based in the towns of Stellenbosch, Franschhoek (where there is also big all-day hiking) and the whale-watching capital Hermanus. They can also easily be accessed from Cape Town – it’s no more than an hour and a half’s drive to each.